Rope Making at Chatham During the Early Nineteenth Century. A 24 page paper by Philip MacDougall, Archaeologia Cantiana. Vol. 124 2004. Available online @ http://www.kentarchaeology.org.uk/Research/Pub/ArchCant/124-2004/124-01 Rope Making in Chatham 19th C.pdf 3.8 MB. 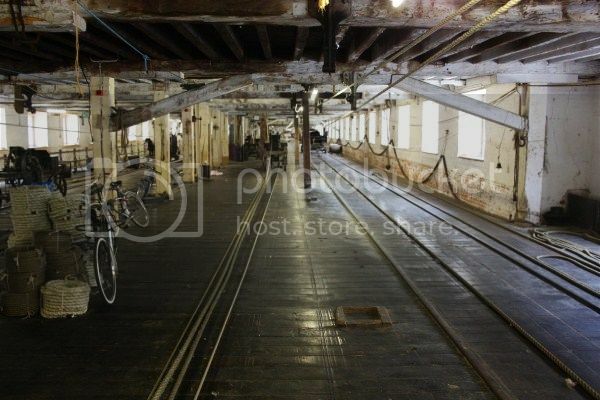 "Although an increasing amount of material is gradually being published on the naval dockyard at Chatham, relatively little has been directed to the ropery. Further, that which has been written concentrates almost exclusively upon the eighteenth century. 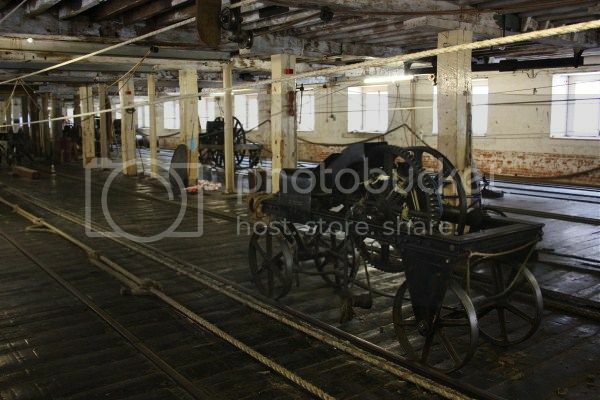 This is a most unusual oversight given that the Chatham ropery was of equal or even of greater importance during the nineteenth century, undergoing a massive series of changes in terms of management style, technology and the nature of the workforce. This paper will concentrate upon the early nineteenth-century ropery and attempt to correct this shortcoming in the history of such a large-scale industrial enterprise. Attention, in particular, will be given to the introduction of steam power, and new workplace practices." I found these pictures very interesting, thankyou. My Grandfather and Grandmother met whilst working at the Ropery during WW1, and, almost a century later, my grandson worked there on work experience from Temple School. He loved it. I am so glad it is still there. 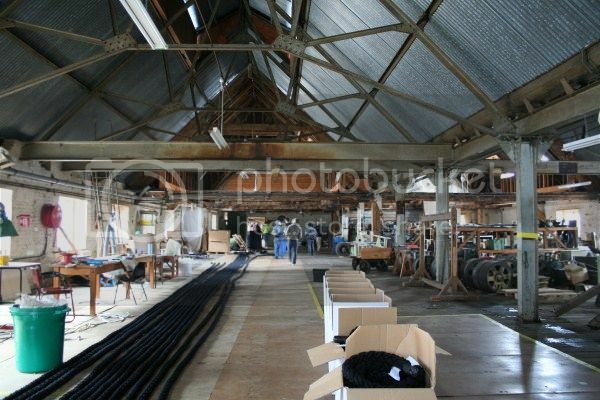 A Ropery has been on the site of the present Grade I listed building since 1618. The Ropery is known as a Double Ropery, which is due to the combining of rope laying on the ground floor and spinning on the upper 2 floors, this building was modelled on the Ropery at Portsmouth which included vaulted cellars for storing tar barrels, the one at Chatham has a 30 bay vaulted cellar at the north end of the building. 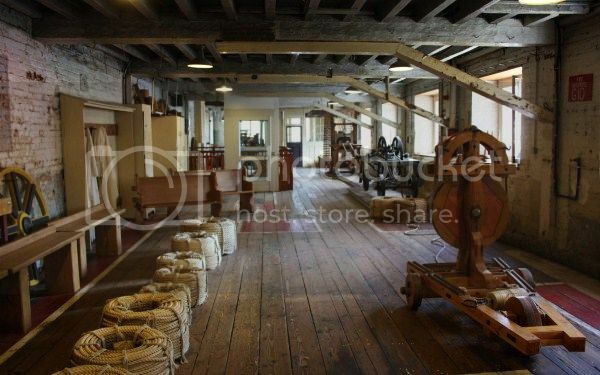 The building also has attic space which still houses a spinning wheel and belt drive, this area was also used to train apprentices. 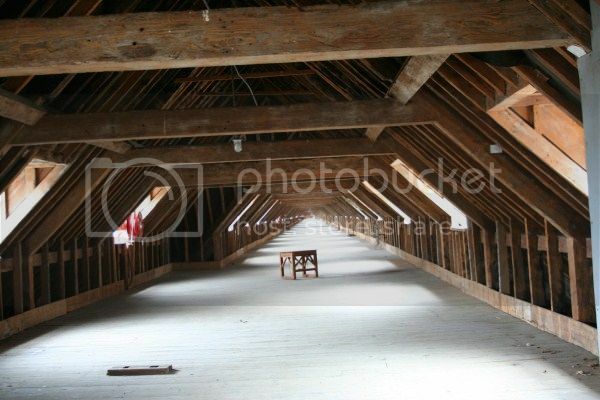 The building was constructed in 1728 with hemp Houses being added in 1812. 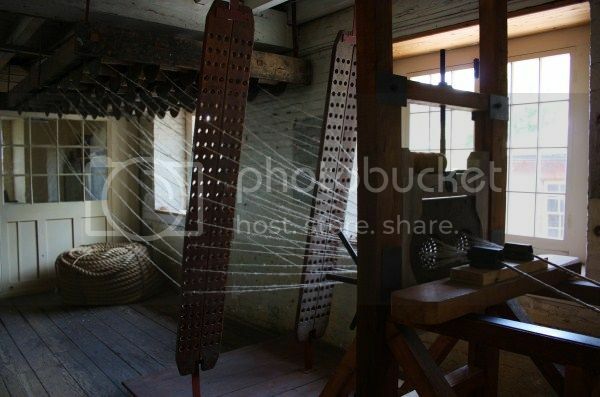 The rope making area consists of Hemp Houses, Yarn Houses, the Double Ropery, Hatchelling House and Rigging Store. The Double Ropery is nearly ¼ of a mile long and at the time of its construction was the longest brick-built building in Europe. Over 200 men were employed to make rope before 1836 when steam power was introduced and fewer men were needed. The building is constructed using red-brick with grey headers, stone dressings and a slate valley roof. 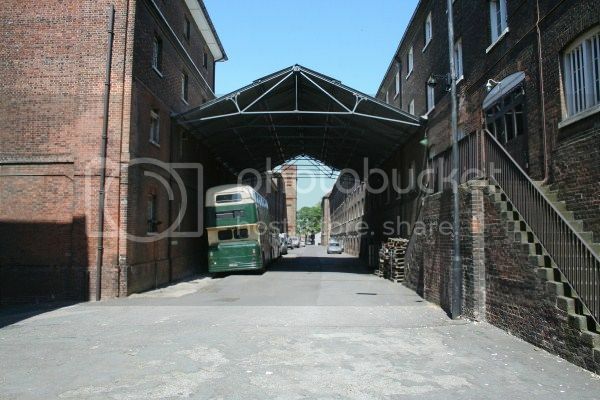 The 1836 engine house is of English bond brick. The building is of three storeys, a basement and an attic with a 100-window range, the north end engine house is of two storeys with a basement. The ground floor is raised and has rubbed brick segmental-arched openings and a square chimney shaft. 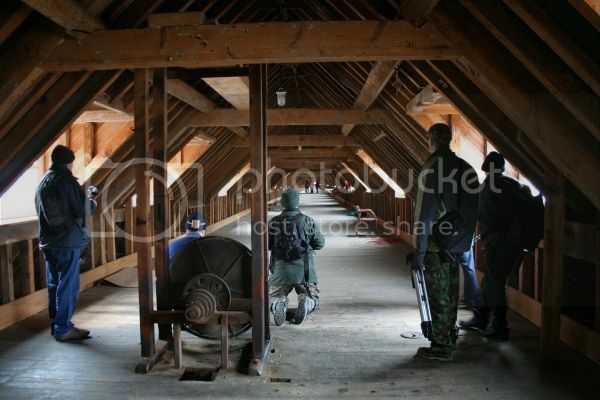 Inside the Ropery it has a continuous open interior with square timber posts to heavy lateral floor beams. 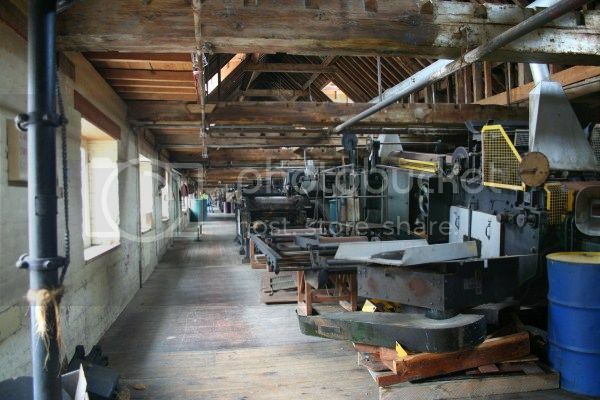 A Maudslay forming machine and winches of 1811 can still be found inside with other early machinery. 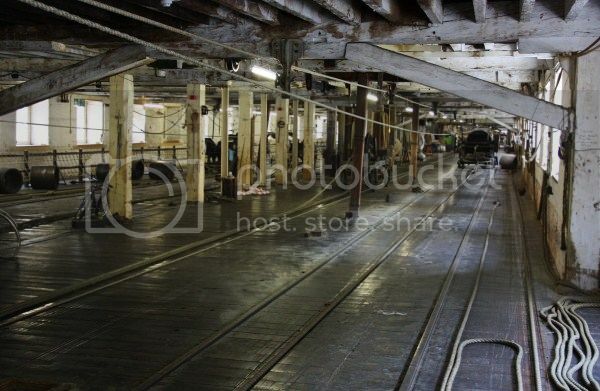 The Roperys at Plymouth and Portsmouth are still in existence; however, the one at Chatham is the only one of the four original Roperys in Naval Dockyards that is still in use as a Ropeyard.